Conditions: We are now into the rainy season. Typical conditions this month is an offshore breeze in the early morning with a sea breeze building in the afternoon. Along with the afternoon sea breeze comes the rain and thunderstorms. Water temps are in the mid 80s. The water is a bit cloudy due to the rain. 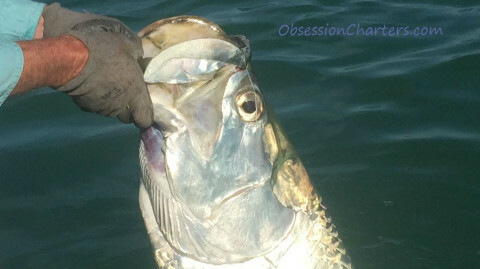 Target species this month: Tarpon, Snook, Redfish, Sea Trout. Fishing tactics: Early is best in June to beat the heat and the storms. The backcounty fishing is tuff this time of year so focus on the sounds and beaches. My Flyfishing tip of the month: Fish in the clear water of the beaches and in the sounds tend to be spooky. Lengthen out your leader and downsize your bite tippets. You'll lose a few fish but your hook up ratio will go up. My spin fishing tip of the month: Spooky fish require long casts and delicate presentations. Braided line like Power Pro and other brands casts further and allows you to use lighter lures. 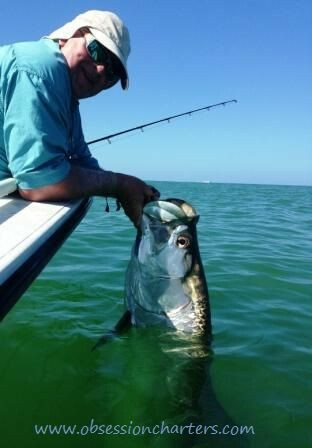 June outlook: The tarpon will be in the passes and on the beaches all month. 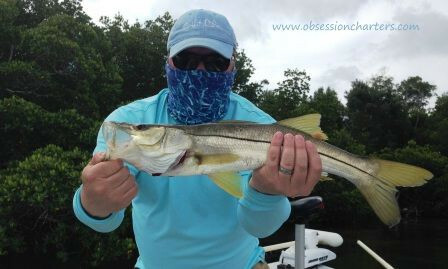 The snook will be on the beaches and in the sounds. 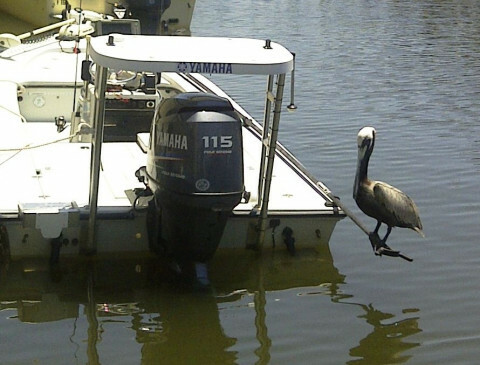 Redfish and trout will be scattered throughout the Harbor.